As the weather has warmed up, activity at Craggy Park is heating up as well. JAG and Associates Construction continues their hard work building the Energy Star certified homes designed by W2 Architects. 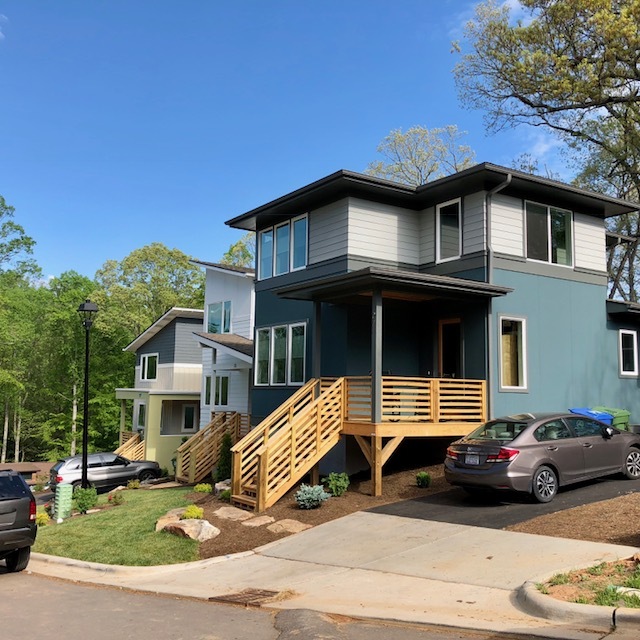 In phase 1 of the Craggy Park community, 8 homes have been sold, with at least one of each model that will be available now complete or nearing completion. 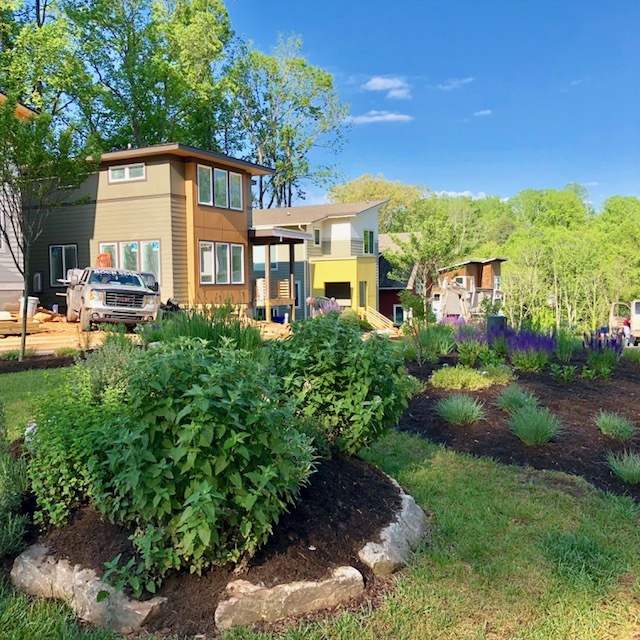 A 9th Craggy Park home will be hitting the market sometime mid-summer, with the 10th and 11th homes following in early fall. Stay tuned to CraggyPark.com and to MLS to be the first to know when it hits the market! For more information about Craggy Park, please contact Mike Figura at Mike@MyMosaicRealty.com, or call him anytime at 828.337.8190.